Due to Federal Regulations, this item MUST SHIP BY GROUND ONLY in the continental United States and Canada. Please select FedEx ground as the ship option for your order at checkout. 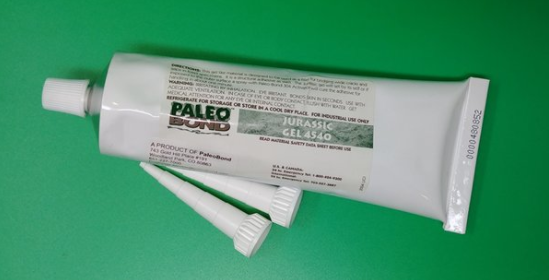 This Getting Started Kit cannot ship to other countries so is unavailable for purchase outside the continental US and Canada. 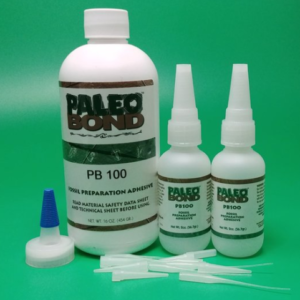 Why a getting started kit? 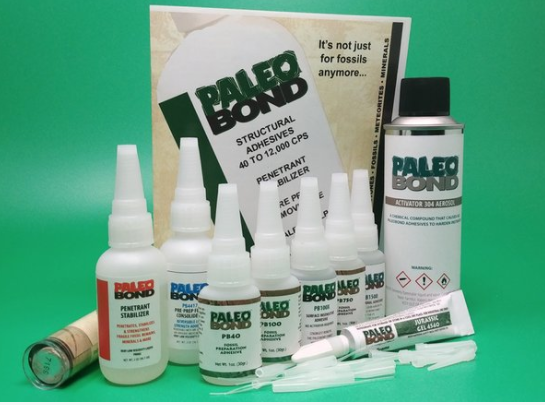 The art and practice of preparing and restoring fossil remains and minerals requires new state-of-the-art materials and PaleoBOND will get you started on the right track. You also have technical experience as close as your telephone or hands on guidance by our experienced distributors. Let’s get acquainted with each kit. There are eleven (11) containers plus tips in each box. 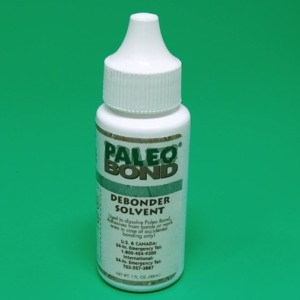 DEBONDER PB400 (one 1 oz. 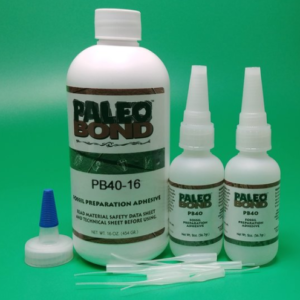 bottle): This was designed to take adhesive off your fingers, work area and to remove excess adhesive from your bond. No more picking the stuff off. Just dissolve it with ease. To take the shine off, just put a little on a Qtip and rub lightly over the surface of specimen. This item CANNOT ship overseas by air due to activator and debonder!! This item CANNOT ship USPS due to the activator and debonder! !